It’s been awhile since we’ve had a blog post addressing some of the repeated questions we get from new volunteers that our Talk moderators, the science team, and other members of the Planet Hunters community have answered, so I thought I’d spend this week’s blog on this topic. You can check out our previous FAQ post from a long while ago here. Q. Why can I only see 30 days of the Kepler data on the Planet Hunters classification interface but after I classify through Talk I can see more data? A. Partly that is because of how the site was originally designed and how much data we had at the time. We designed the Planet Hunters interface to show data from Quarter 1 which was roughly ~33 days long. When longer quarters of Kepler data were released, we thought that showing the full Q1 data in one go was working well for Planet Hunters, so we decided to cut the longer observations into smaller sections that we would send to different volunteers to classify. Each 30 day light curve segment receives 5-10 independent volunteer assessments. On the Talk page for the light curve you can go to examine star and that will take you to our source pages that show all the light curve sections available for that star in the Planet Hunters database that you can scroll through and zoom-in like in the Planet Hunters interface. Q. After classifying more stars on Planet Hunters, I think I want to change my answer to a previous classification. Can I change it? A. No, once you’ve submitted your classification for a given light curve on Planet Hunters there is no way to go back. We want your first opinion without being influenced by others or added information. For example, you might mark more transit boxes on the light cure of a star that you learned from Talk is a Kepler planet candidate than for a light curve of a star that you knew wasn’t a Kepler planet candidate. So we don’t allow you go back to change a classification after it has been submitted or know about the Planet Hunters ID of the star until after you have classified. Q. When is new data uploaded to the site? A. 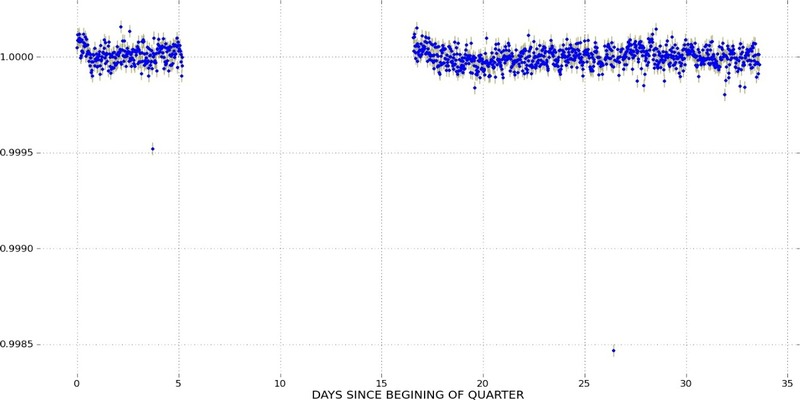 Light curves are uploaded once we’ve finished a Kepler Quarter (which is 90 days of observations). 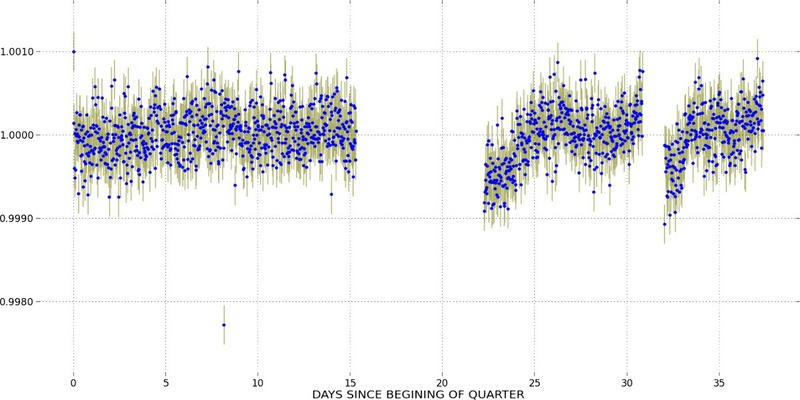 There is roughly 160,000 stars that get monitored each quarter (the same ~160,000 stars are watched from quarter to quarter by Kepler during its prime and extended mission), and we chop those light curves into 30 day segments. So that’s what you’re seeing on the site, it’s not the first 30 days, it’s currently one of three sections of Quarter 16 of Kepler observations. Q. Do you announce discoveries? A. Yes, we announce the discovery of new planet candidates and science papers on the blog and all of the scientific papers resulting from Planet Hunters classifications and Talk discoveries can be found here. Q. Are you giving credit to those that find the candidates? Yes we are absolutely giving credit to people who are identifying planet transits that become discoveries. Each published paper from Planet Hunters has an acknowledgments section where we list the people who contributed to the finds. We also have these acknowledgement sections as websites. If the planet candidate is a significant component of the paper then we may add the discoverers as coauthors to the paper. You can check out the published papers here. We also acknowledge all Planet Hunters volunteers here. Q. What about this single low points (see example light curves below) ? Should I mark those as transits? A. No, these single low points you see in the two example light curves above are not transits. They are likely just bad/spurious data points. If you see a single low point don’t mark it as a transit. Transits typically last a few hours to tens of hours, so there should be more than 1 low point if there is a planet transiting the star. Q. Aren’t there automated ways with computers that you could search for these planet transit signals? Q. What’s a Kepler Threshold Crossing Event? A Threshold Crossing Event or TCE is a potential transit event identified by the Kepler team’s automated computer algorithms during a search of Kepler data. The majority are false detections, but a few are real transits due to orbiting exoplanets. A subset of the Kepler team examine the TCE list and whittle it down with other checks and analysis to make the Kepler planet candidate list. We mark the light curves of stars where the Kepler team has detected a TCE on Talk with the label ‘Kepler Threshold Crossing Event Candidate’. I was doing many times, the mistake of Q. “light curves” (What about this single low points, etc). I was thinking that something is wrong but…. When is Q2 paper going to be updated with my name as a coauthor? I should have asked Chris, but I don’t have his email. I’m kinda ready for bad news…I wanted to show it to friends. I’m checking my emails and messages on Talk. Partly the first email sent to you by the team, you didn’t respond, so I messaged on Talk. I forwarded that information along but it seems it got lost in the shuffle. I’m sorry for that. The problem is that unfortunately the paper is published in the Journal. We could have edited it, if you had spotted the error and contacted us earlier while the paper was still in the proofs stage with the Journal. We can’t change the paper in the Journal version, but I’ll talk to Chris and see what we can do for you. I remember talking to Chris and he said that he would add my name in the next update of the paper…so I waited…I didn’t notice any news on it here on the blog. I’ve contacted Chris and he is seeing what we can do to rectify the situation.